Maggie is excited to be joining the SIDA teaching team! She began dancing at the ripe age of 3 years old, when she began ballet, tap, and jazz classes. The ballet and jazz didn’t stick, but Maggie continued tapping with world-renowned teachers at The Link School of the Arts for 13 years. She also began Irish dancing at the Flanagan-O’Hare School of Irish Dance at the age of 9. She continued dancing with them until she went to college at Hope College in Holland, MI, where she continued to tap and Irish dance with friends who shared her passion. After graduating with a B.A. in Sociology and Creative Writing, Maggie returned to the Detroit area, where she earned her Masters of Social Work at Wayne State University. In 2016 she joined the Shannon Irish Dance Academy, where she quickly moved up the ranks to become a Champion-level dancer. When she is not at the studio, she works at a local elementary school, teachingpreschool and drama classes and running a childcare program. She has also studied Latin, swing, line dancing, modern, lyrical, and various styles of cultural dancing, as well as studying fitness, yoga, and kinesiology courses. Maggie has been blessed with numerous opportunities to perform and grow as a dancer, currently competing as a soloist and on teams. She has consistently placed in the top 5 at nationals and recently attended the 2018 WIDA World Irish Dance Championships, where she placed in the top half of her age group, bringing home a world medal. 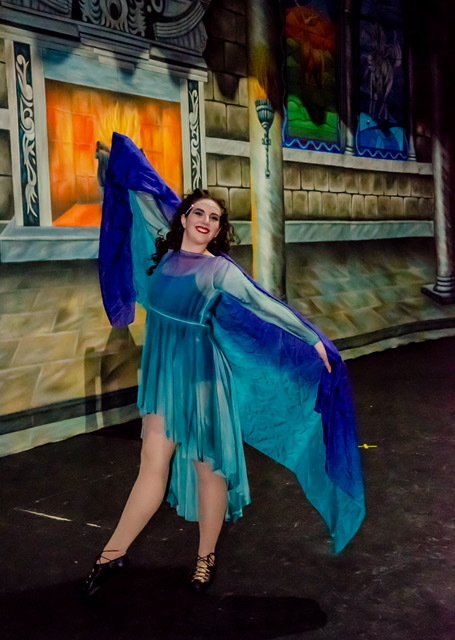 She has also performed on local news stations, at various schools, festivals, and fundraisers in the area, as a soloist in the annual SIDA production of An Irish Nutcracker, and alongside Daniel O’Donnell during his 2017 US tour. She has traveled to Ireland to attend the Fusion Dance Fest, where she has studied with and worked alongside world-famous performers, choreographers, and fitness specialists from a variety of dance disciplines. Maggie has a passion for self-expression through movement. As an adult who returned to dancing after many years, she believes that anyone can dance! She views dance as a way of empowering, challenging, and strengthening individuals of all ages and abilities to reach their full potential: physically, emotionally, spiritually, and intellectually. She believes that dance can be many things: whether dancers are looking to improve their health, to compete at high levels, to meet people, or to enjoy the limelight of performing, Maggie works to support each dancer to meet their individual goals. Most of all, Maggie believes that dance is about people. She loves getting to know her students, encouraging them and helping them feel valued in and outside the classroom. Maggie has always had a passion for Irish culture and dance, and she loves sharing that passion with others. She firmly believes in the life lesson she has learned in the studio and on the stage, and she is excited to use her knowledge of both dance and education to create a safe, supportive environment where every dancer has the freedom and encouragement they need to be the best dancer, and person, they can be!